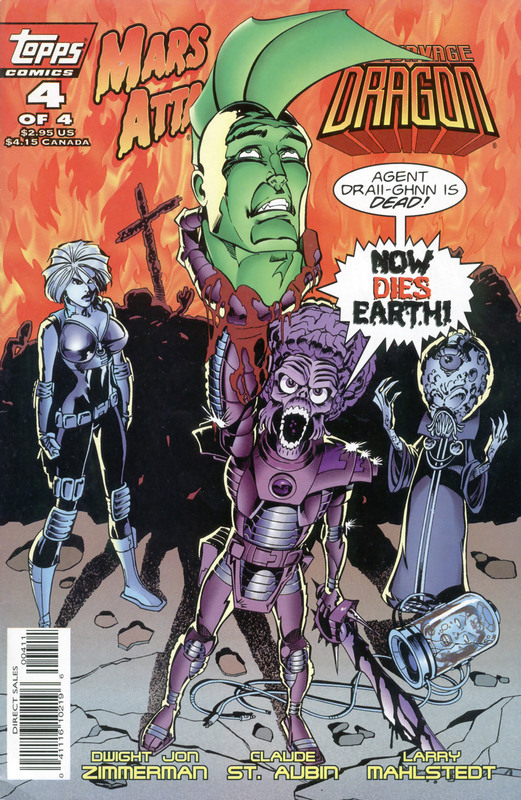 The Martian invaders rejoice at the death of their renegade agent Draii-Ghnn and prepare to use devices to fire loose asteroids in the vacuum of space at planet Earth as their mobile forces are being defeated by the superhuman resistance. Dragon is dismissed as being an alien but was simply the blueprint upon which his doppelganger was based. The freak policeman then tears apart what is left of the alien’s facilities and resources as Colleen Mackay uses her enemy’s own machines to launch the asteroids at their planet instead, wiping out the entire race. She then uses a portal device to a parallel world where she begins a whole new campaign to wipe out another timeline’s alien invaders… Dragon is left with the task of evacuating those in stasis and returning home to see how his beloved Chicago survived the invasion.